Performance Hybrid. 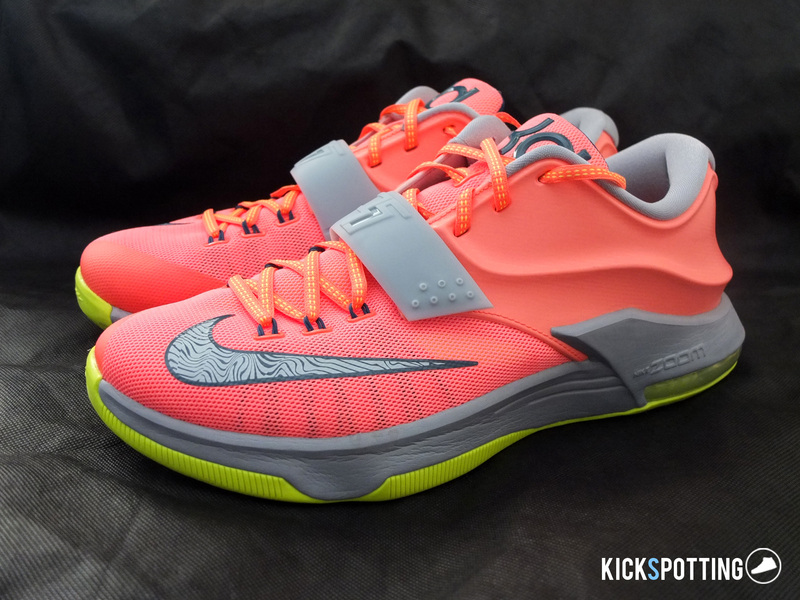 The KD7 provides quickness combined with stability and support. The KD7 was unveiled globally last June 25 and we were lucky enough to test a pair early, thanks to my main man Sole Movement. Hyperposite technology, zoom air bag, encapsulated zoom on the forefoot, and the return of the midfoot strap are all part of the latest design by Leo Chang. So how do these all work together? Let’s get to it! 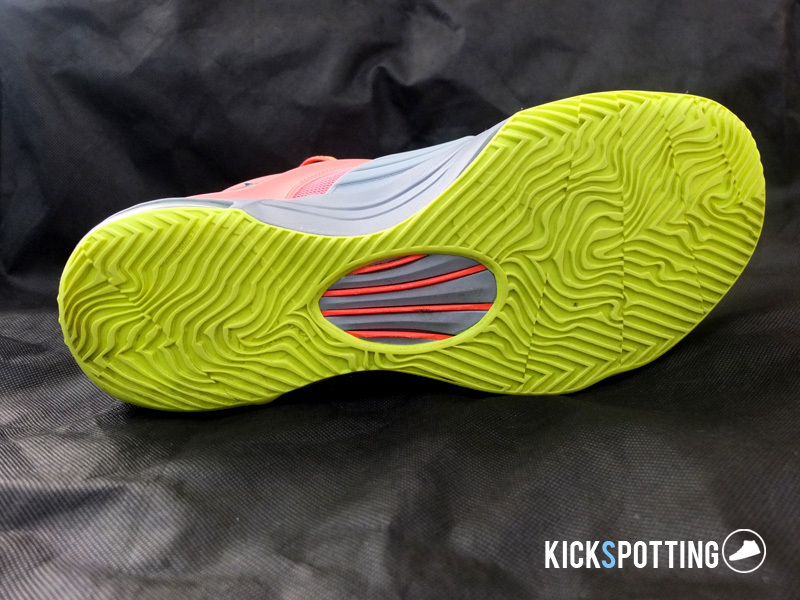 We tested out the KD7 ’35,000 degrees’ which is the first official colorway of the KD7 line. 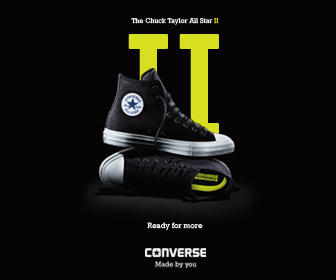 The USA colorway is also out now which gives you two options right away. The ’35,000 degrees’ is born out of KD’s love for the weather and this colorway is inpired by lightning, which like Durant’s game, is strong and unpredictable. The upper is dressed in bright mango with hints of grey on the inner lining, midfoot strap, midsole and heel. A volt outsole provides that bright contrast and graphic print on the swoosh complete the design. 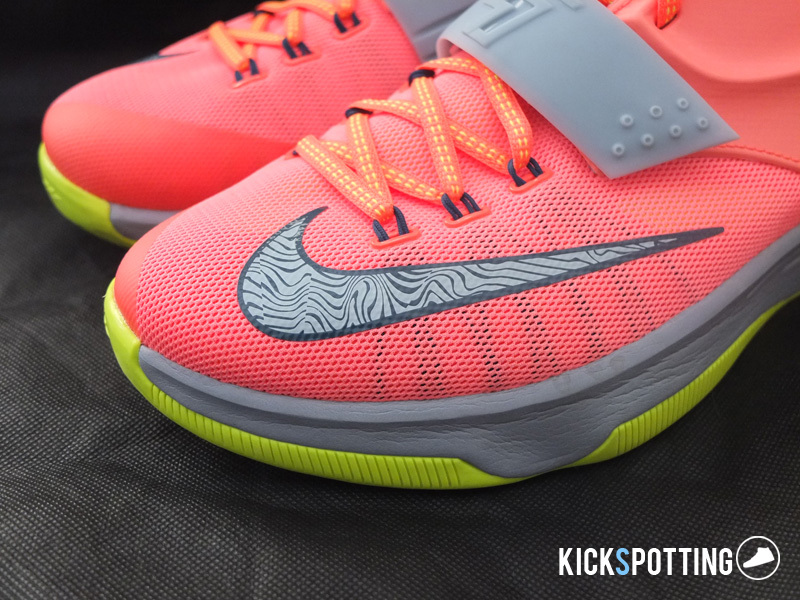 My favorite area of a shoe and easily the best feature of the KD7 is its cushioning. Right off the box you can feel the encapsulated zoom on the fore foot which gives you superb cushioning. The zoom air bag on the heel provides that responsive cushioning on your landings. It’s just the right amount of firmness for added stability. Just walking in the KD7 is enough to convince you to cop a pair. It does feel a little high off the ground compared to the kobes, if that matters to you, but that’s expected due to the added cushioning. Once you get them on court it won’t really matter much. I felt that the encapsulated zoom was soft enough to give you that on-court feel. It gives you that cushioning you need on the forefoot for quick moves as a guard while keeping the heel stable and responsive for bigger players you want to post up and bang inside. The KD7 fits true to size. I wear a size 10 and this fits perfectly for me with just the right amount of room at the fore foot. It features a mesh upper with dynamic flywire and Hyperposite technology on the heel to give you a lockdown feel without restricting your movements. I really love the fit in this one. I felt like the previous KDs were a bit narrow for me, but the KD7 just had the perfect mix of snugness and enough room for your foot. The midfoot strap does add to the lockdown fit as well. At first I found the strap a bit too short as it didn’t run throughout the side of the shoe but just around the top portion. I didn’t think it would matter much to the performance of the shoe, but once you strap it on tight it makes you feel more locked in and gives you that psychological confidence that you won’t roll over. A thing to note though, if you’re like me, pulling the strap tight does ride a little bit on the bone of my foot, right at the instep. It does cause a little pain but I don’t think it should be a problem for most. The new hyperposite technology added at the heel provides stability and also avoid heel slip. On the other hand, it does feel like the heel counter on the kobes are more locked down than the hyperposite. Breathability is not much of an issue for me and I didn’t really have any issues with the KD7. The mesh upper does help but it’s probably the weakest aspect of the shoe. Again, if this is not an issue for you then it shouldn’t matter and won’t take away from the overall performance. 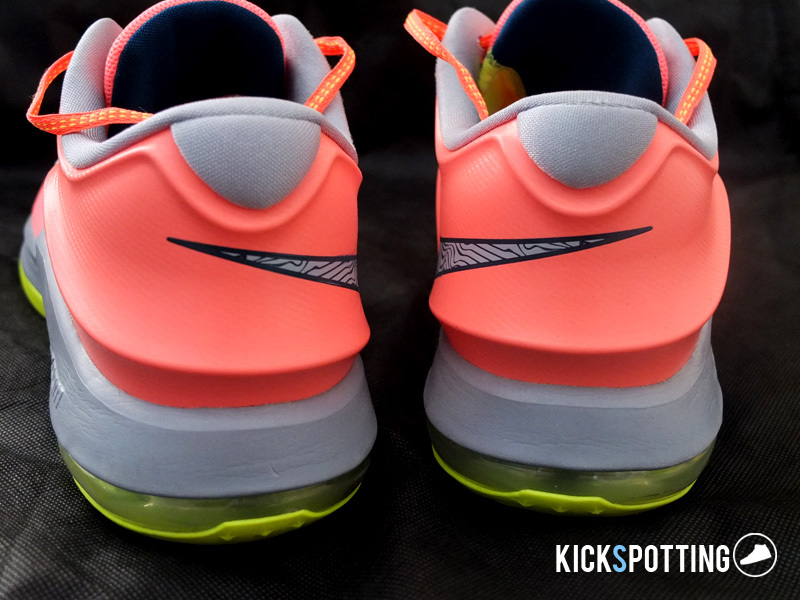 Another plus for me in a shoe is if it has good traction, and the KD7 does very well in that area. The flex groove pattern on the outsole performs really well and I didn’t experience any problem on my cuts, stops, and change of direction. This is crucial if you want that advantage on your first step. My concern at first was the possibility of rolling your ankle due to the added cushioning which keeps you a little higher off the ground. After my runs with the KD7, I didn’t experience that problem at all. The dynamic flywire works well to keep your foot locked in and the strap really adds support at the middle. The hyperposite at the heel is pretty good but again it’s not at locked down as something you would feel in the kobes. 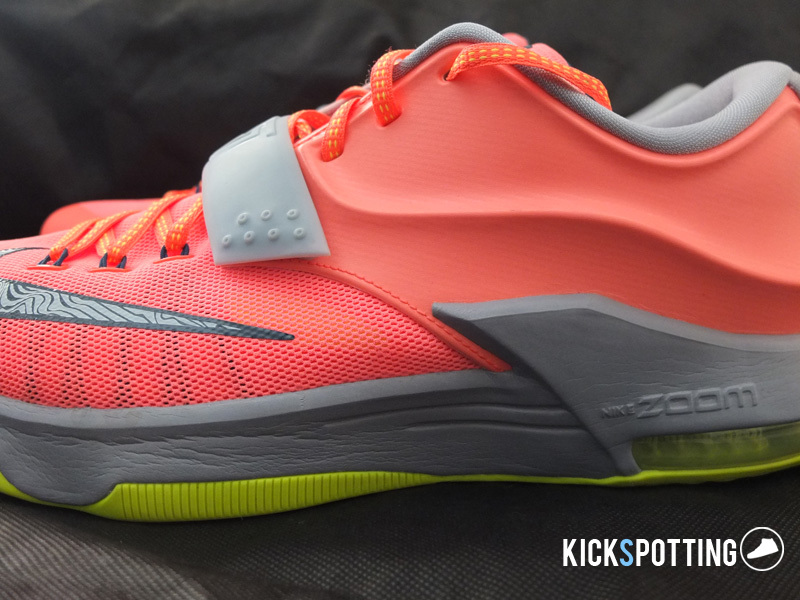 All in all you should still feel pretty secure in the KD7. Overall, I think this is the best KD by far. Right off the box you can go hoop in it without needing that break in period. Great cushioning, traction and fit make this a must cop! The increase in pricing might surprise a few people, but with all the added features I don’t think you should pass up on the KDs. The KD ’35,000 degrees’ and ‘USA’ colorways are out now at Titan shops and Nike stores around the metro for P8,195. Get your own pair now! 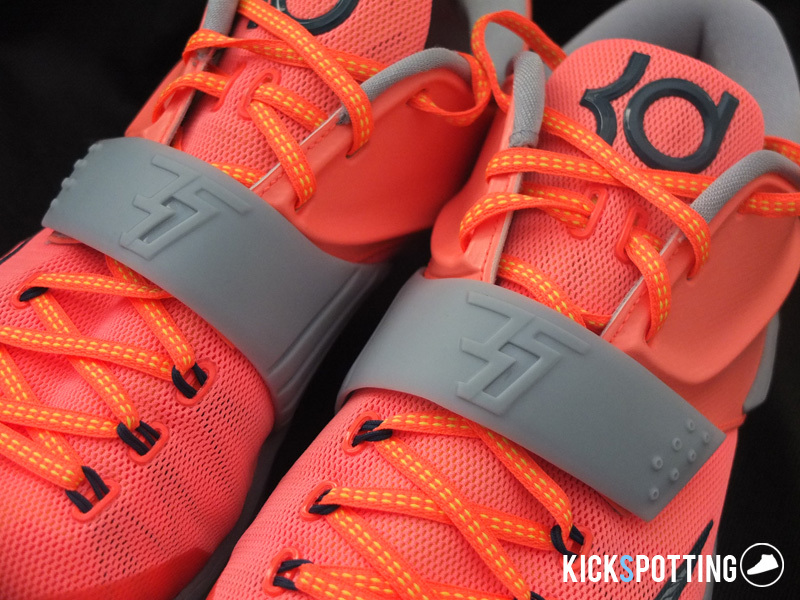 Great shoe overall and the best KD so far! This should definitely be in your list of 2014 cops! Great job on the review man! Solid. 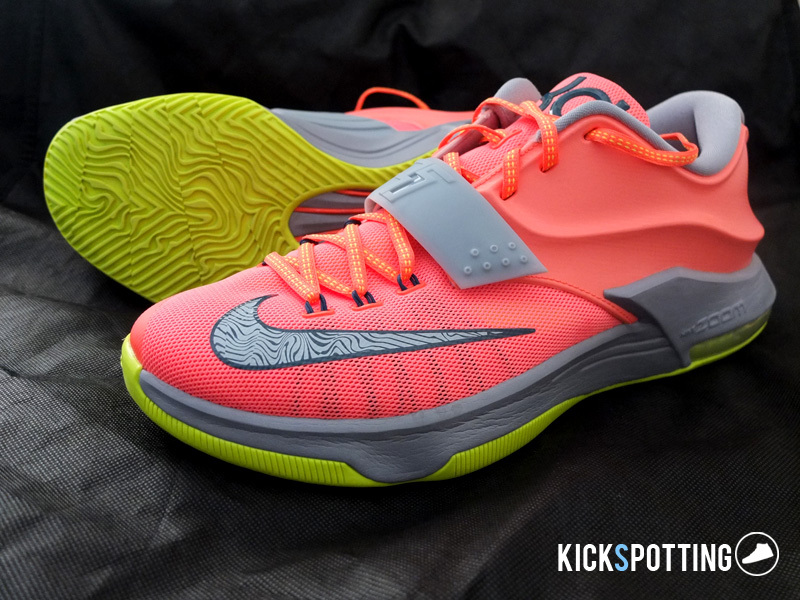 Still need me a pair of the KD 7, but I can wait for a better colorway.. Thanks for the kind words bro! great job on your videos too! trying to make this a regular section on the blog. nice review. I didnt think this has zoom in the forefoot?? reading on the website thats how i understand it.